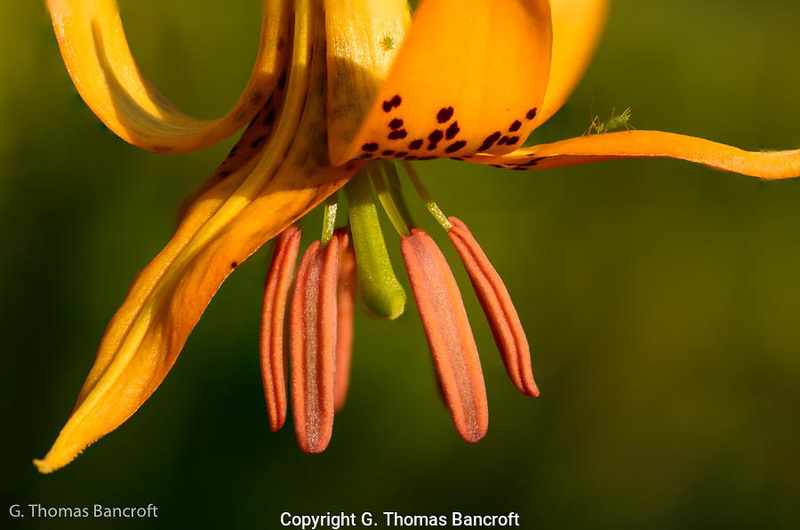 This wonderful Tiger Lily bloom was along the trail and only a few inches above the ground. Two crickets were on the pedals and helped to accent the yellow color and orange of the anthers. I focused in close to highlight the flower.